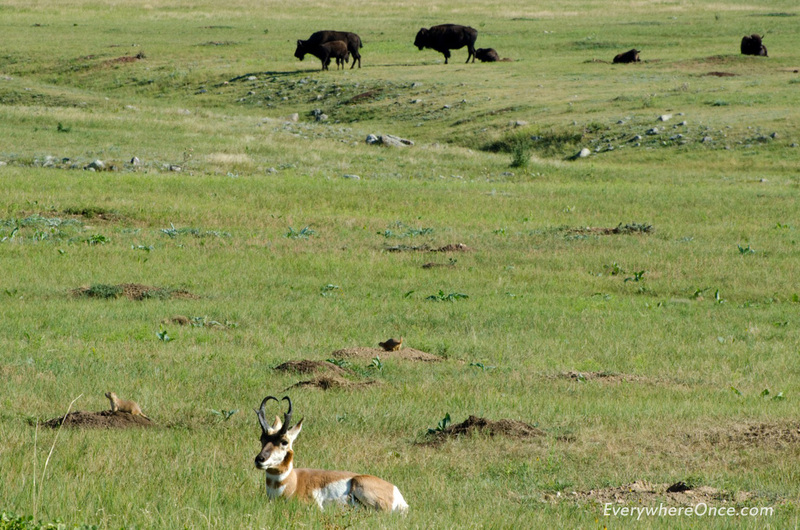 With 71,000 acres to explore Custer is South Dakota’s largest state park. Despite its size an excellent network of roads permit visitors to see most of the park’s highlights in a single day, although several weeks would be needed to fully canvas all of its lakes, creeks, mountains, plains and hiking trails. 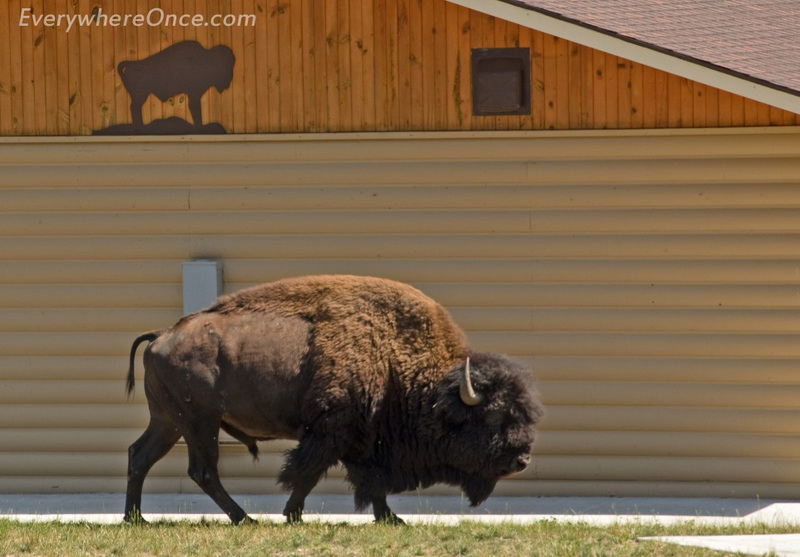 Whether staying a single night or several, Custer is one of the more welcoming parks we’ve visited; with no fewer than four lodges ranging in style from posh to dude ranch. Choosing from among their 13 campgrounds was no small feat either. We eventually decided to stay at the excellent Legion Lake facility, but suspect we’d have been happy with any of the options. Our day began, just like in Teddy Roosevelet, with us discovering that invaders had infiltrated our campground. Or were we the interlopers? Probably the later. In either case, this lone bison bull was thoughtful enough to graze directly in front of a buffalo sign so that we might accurately identify him. 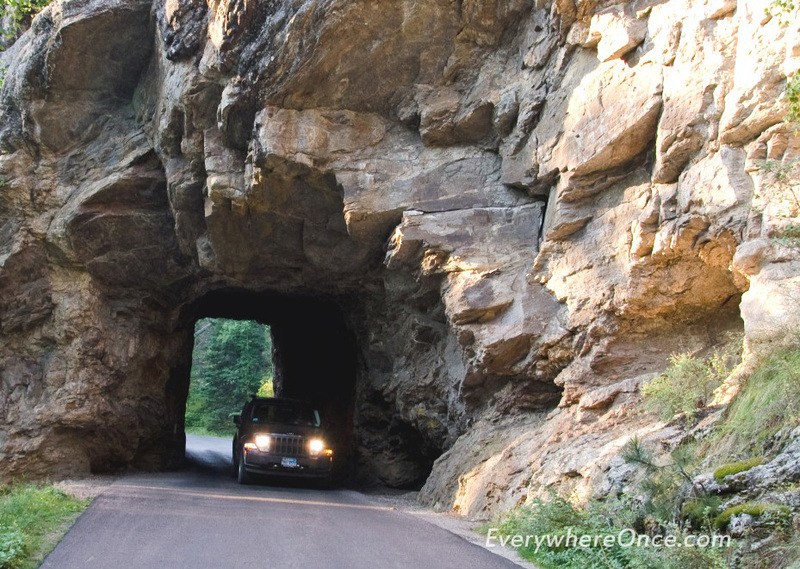 Getting just about anywhere in Custer is part of the fun. Nearly every road is a scenic one. 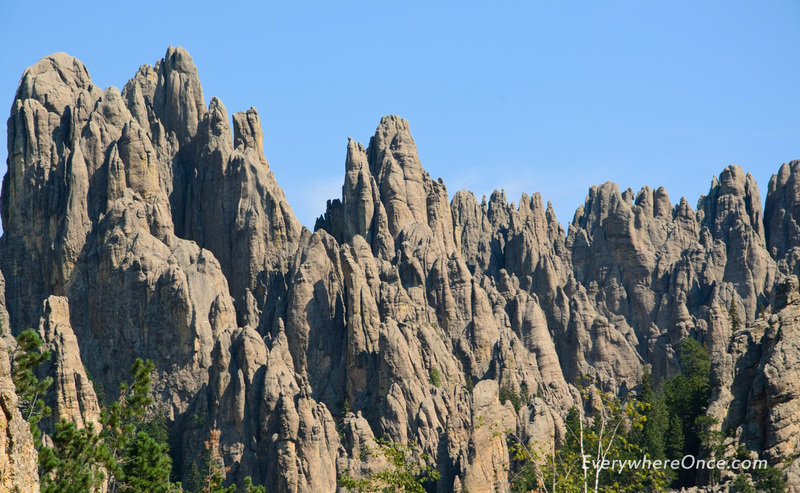 Heading north to a planned morning hike took us along the 14 twisting miles of “Needle’s Highway” that whisks past it’s namesake granite pillars and spires. In a couple of places single lane tunnels were blasted through sheer granite walls. Taking time to enjoy the scenery from the many pullouts along the way, we park amongst dragon-tooth towers . 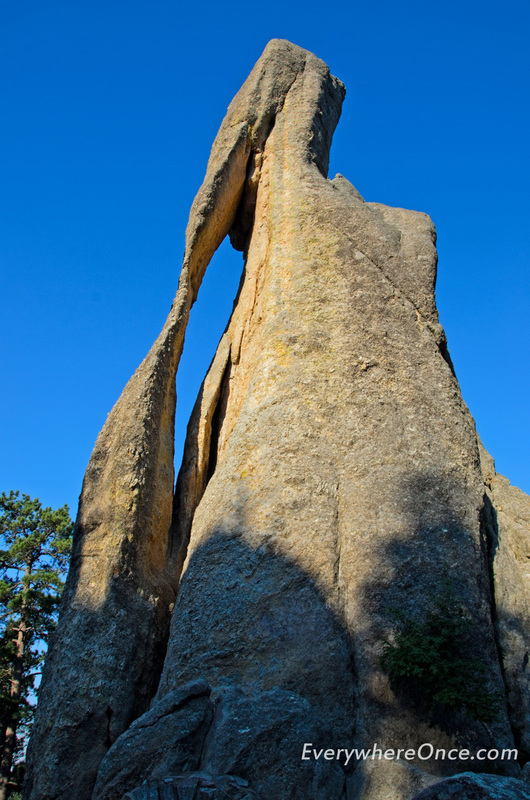 . .
to catch a glimpse of the park’s famous “needle eye” rock formation. We’re always amazed at the creativity nature employs to produce such wonderfully improbable things. 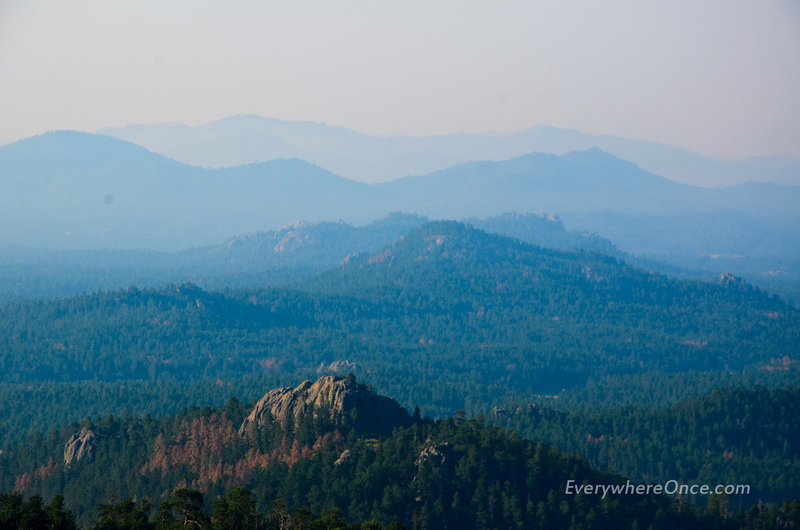 Nature’s destructive side was also on display that morning as smoke from a nearby wildfire blanketed the Black Hills. Low visibility prompted us to abandon our planned hike to the top of Harney Peak, instead opting for a trail that lead us deeper into the valley. 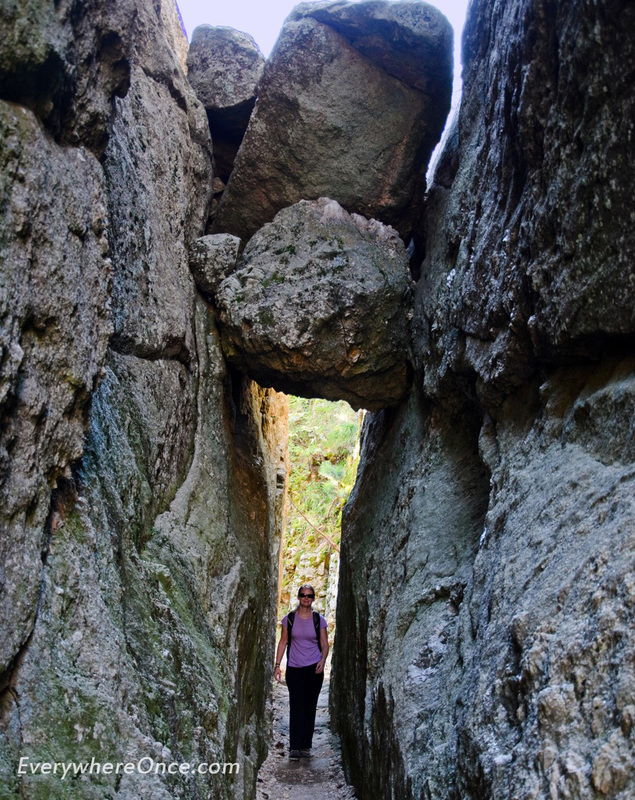 Shannon “risks” being crushed by boulders at the entrance of the “Sunday Gulch” trail . . .
and soon decides the risk is definitely worth it. The first half of Sunday Gulch climbs down a rocky path of strewn boulders that sometimes flows with a babbling brook. Trees and granite spires tower overhead as we make our way past more interesting rock formations. A stone Gollum, or perhaps a petrified Ent, guards the pass with Sphynx-like resolve. We take lunch in the shade of “Little Devils Tower,” which really bears only passing resemblance to the real thing. With the hike behind us we jump back in the car and head for “Wildlife Loop Road;” an 18 mile ring that circumscribes the park’s southern prairie. Being well acquainted with how uncooperative animals can be, regardless of whether they’re domesticated or wild, we’re a bit skeptical that the wildlife will simply show up simply because the road is named for them. But with one of the world’s largest publicly-owned bison herds in residence, chances of crossing paths with at least some of the 1,300 animals is pretty good. True to it’s promise, we didn’t have to wait long before we getting caught in rush-hour traffic: Custer style. 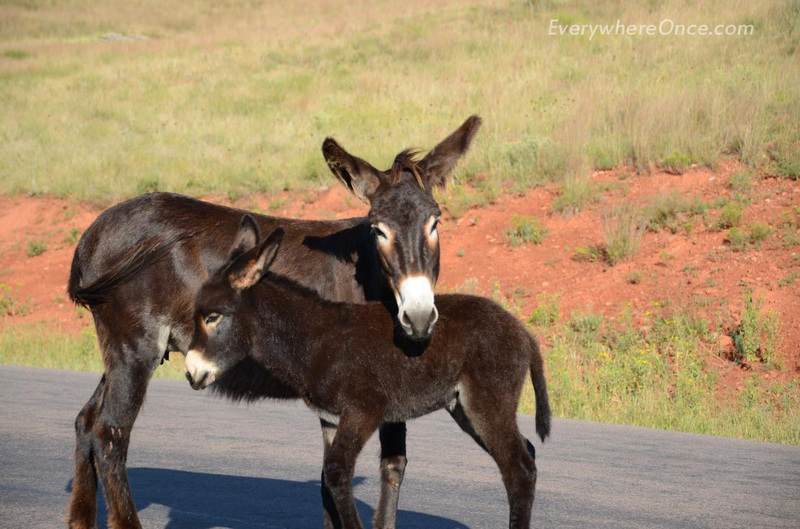 Along the way we also met up with a mamma and baby burro. Several well-maintained dirt roads off the paved “Wildlife Loop” crisscross the prairie and ponderosa pine offering additional opportunities for wildlife viewing. Somewhere deep in the park we encountered pronghorn antelope, prairie dogs and bison all peacefully sharing the wide open spaces. All-in-all, not bad for a day’s work. Love the Buffalos on the road. That is one of my favorite photos (and experiences) too. When I view your photos, I feel as if I have traveled this path with you. I especially loved the shot of the buffalo posing near a silhouette of a buffalo. Also liked the buffalo “rush hour” traffic. Very nice complement. Thank you! Excellent! Very good to see a western park that hasn’t been photographed to death. 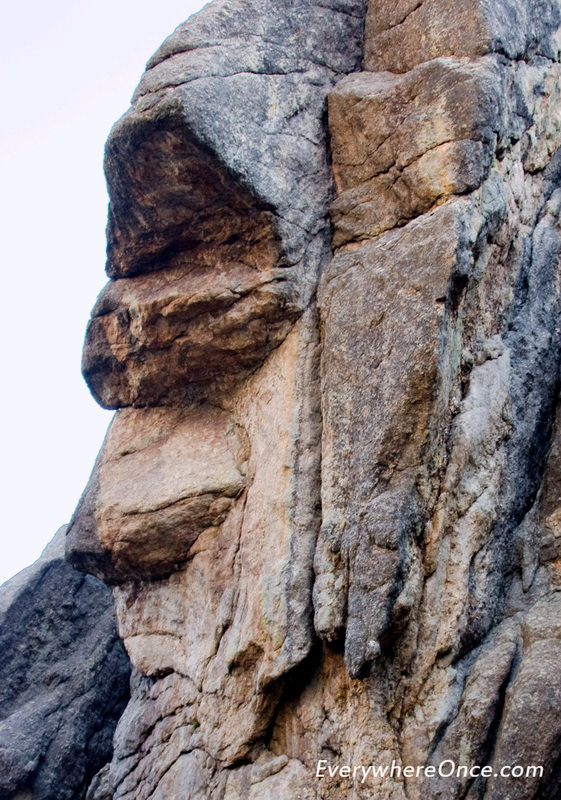 The stone Gollum/petrified ent reminds me of New Hampshire’s Old Man of the Mountain — but that formation fell off the mountain a number of years ago. Thanks. It is hard to get shots of some of these places that are unique. We do try, though. Like our photos at Mount Rushmore, most of which I think are a little different. Awesome Pictures especially the “bison on the road” and “Sunday Gulch” . Makes us wanna take a trip there right now. great blog and photos. They brought back nice memories. I was there a few years back and got almost identifcal photos. 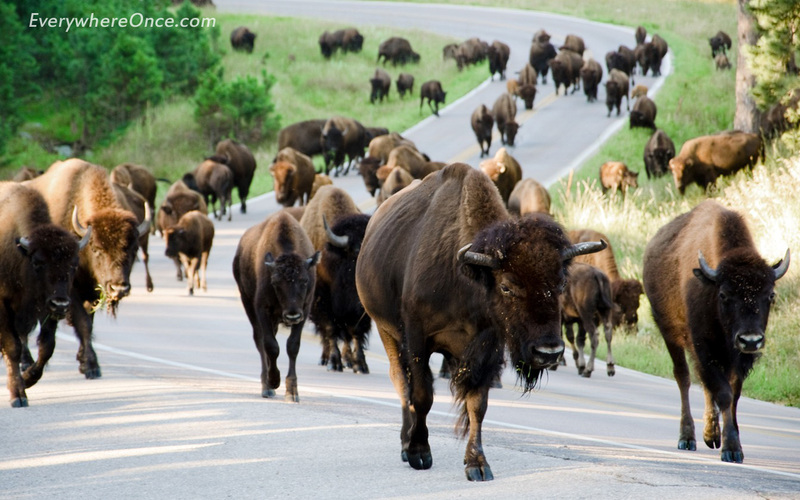 Holy crow, this is an amazing post — the bison traffic jam, in particular. I live in the northeast and have never been west of Chicago, but every day it feels like a new reason to travel out west presents itself to me. We’re native to the Northeast as well and, until this trip, hadn’t spent much time in the West. We’ve found some truly world-class destinations that are definitely worth a visit. Hey Brian, I’m glad you mentioned that your lodging options were numerous and all of the campsites would have been great. Sometimes people don’t realize that part of our national heritage isn’t just the national (and state) parks themselves, but often there are wonderful historical lodge properties available at these places too, and not at unreasonable prices. I’ve stayed in some amazing National Park lodges, and if one of your readers (b/c I know you use your RV) is considering one of the parks, they should check out what’s available. I LOVED the Zion National Park lodge, and I stayed on Christmas Day last year. The weather was fantastic (in the 50’s!) and we nearly had the park to ourselves. I also really found the Jackson Lake Lodge in the Grand Tetons to be a wonderful place to stay… and there are many, many more. Good point. I think it’s important for people to know that you don’t need to camp or to have an RV to do most of what we do. We’ve found that it is most rewarding to stay inside the parks, but as you note, plenty of places have lodges. The buffalos on the road remind me of the time I was there and it was like rush hour with buffalos – ha! 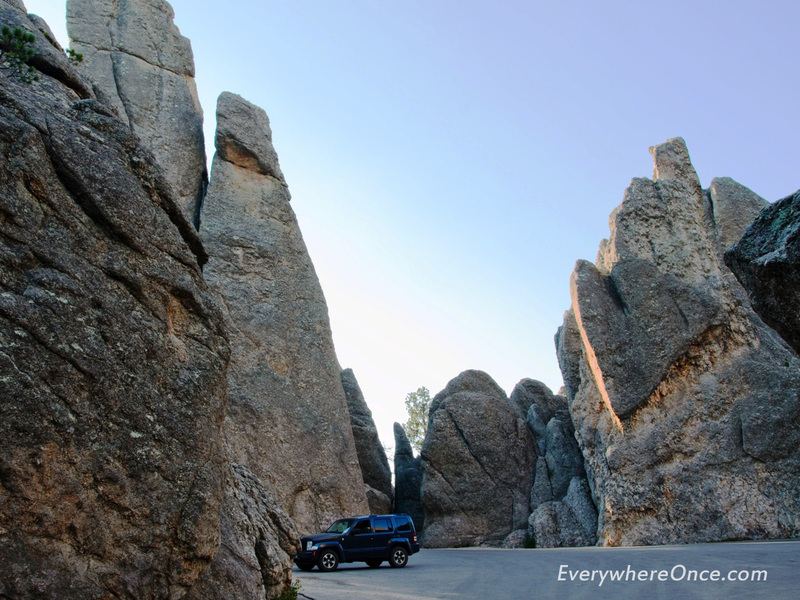 Custer is a breathtaking and beautiful place – loved the time I spent there a few years back. You truly feel like you have stepped into the song America the Beautiful. Buffalo jams are a unique experience. Great pictures! It sounds like you had a wonderful time! Fantastic and enjoyable post! Unless you object, I’ve linked it on my state parks web magazine, http://www.scoop.it/t/state-parks. 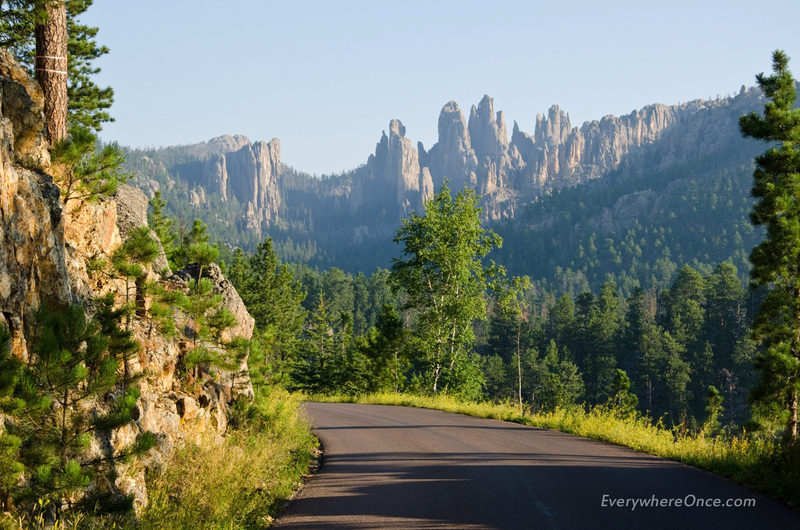 I hope to get out to South Dakota one day, so much to see there! Great blog and photos! 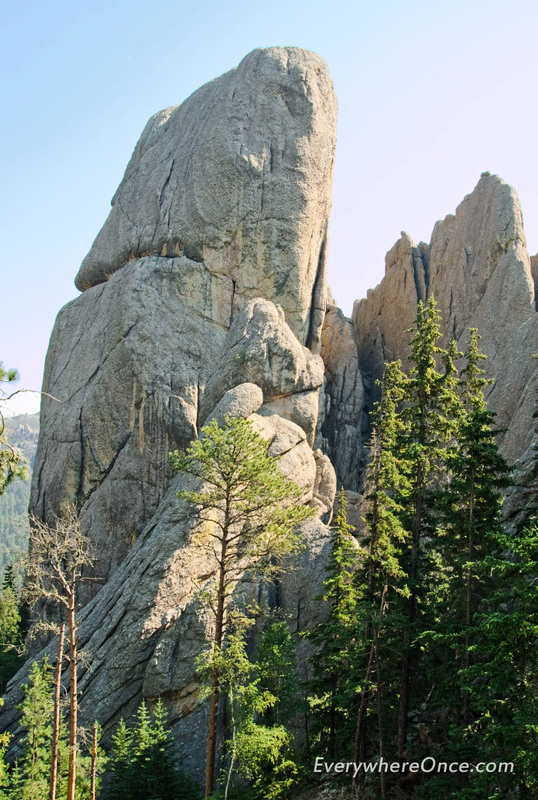 I have not travelled to the Black Hills in SD, but have heard about them. Your photos give me a better picture of why to put this on our future travel schedule. Your photo of the bison traffic jam reminded me of our experience with domesticated versions in Ireland when farmers move cattle from one field to another on one lane roads. We are researching a trip to S. Africa for next year. Maybe we will be able to post a similar photo of elephants or water buffalo! Nice plan! We’ve only been to Northern Africa. A safari and gorilla treking are high on our list of things to do. 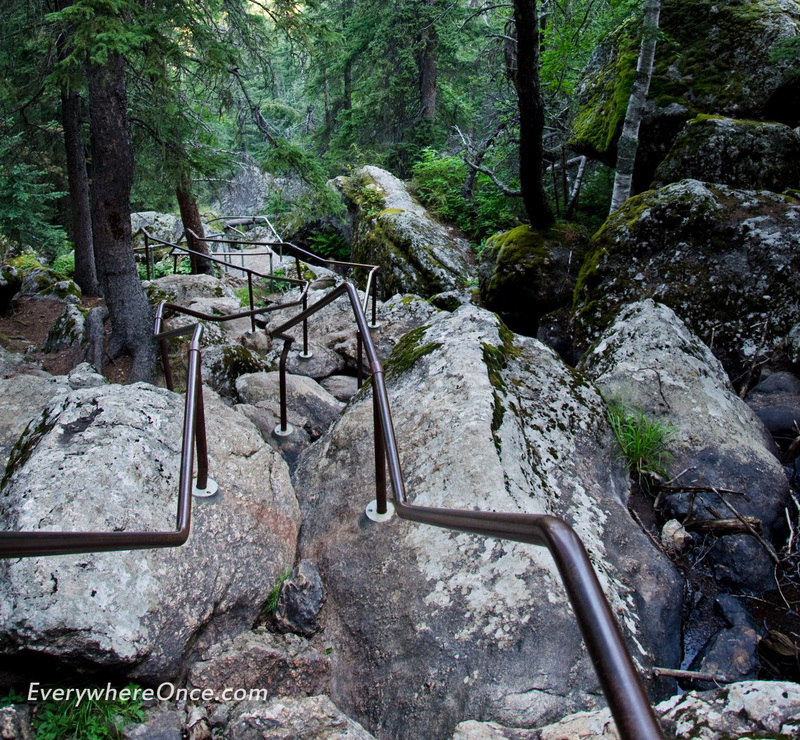 Excellent images, I hope enjoyed your time visiting the Rapid City attractions in this area. Thanks for sharing the images. My wife and I were in South Dakota back in 2001. What an awesome place to visit and we also got to see the Buffalo and other animals. It was my first experience seeing a 75mph speed limit sign as well! Check out the new History DVD about Custer at you video special interest section !